Buy 1 for $8.72Buy 2 / Save $0.47!Buy 3 / Save $1.75! Hippocrates, the Greek Father of Drugs, prescribed apple cider vinegar for its useful detoxing, health and germ combating competencies. TerraVita Premium Collection Apple Cider Vinegar is administered for weight loss, digestive problems, joint aches and inflammations. 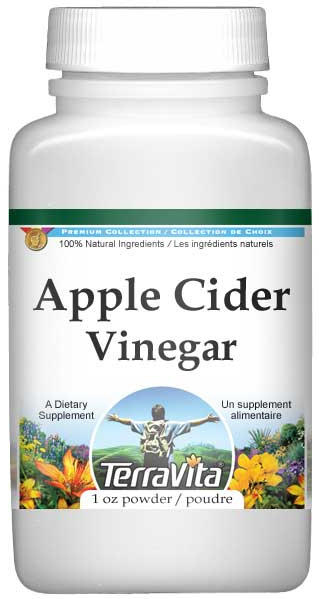 Apple Cider Vinegar also serves as an excellent blood thinner, a detoxifier and / or a diuretic. Guaranteed for Steady Purity, Strength, Balance and Freshness!